St Clare of Assisi is a Catholic Primary School located in Conder ACT. The school caters for students in Kindergarten - Year 6 and has a current enrolment of 605 students. Students attending our school come from a variety of backgrounds and nationalities. At St Clare of Assisi we have identified four core ideas that assist us translate our vision into action: Faith, Community, Learning and Leadership. St Clare of Assisi follows the Archdiocesan Religious Education Curriculum, Treasures Old and New. 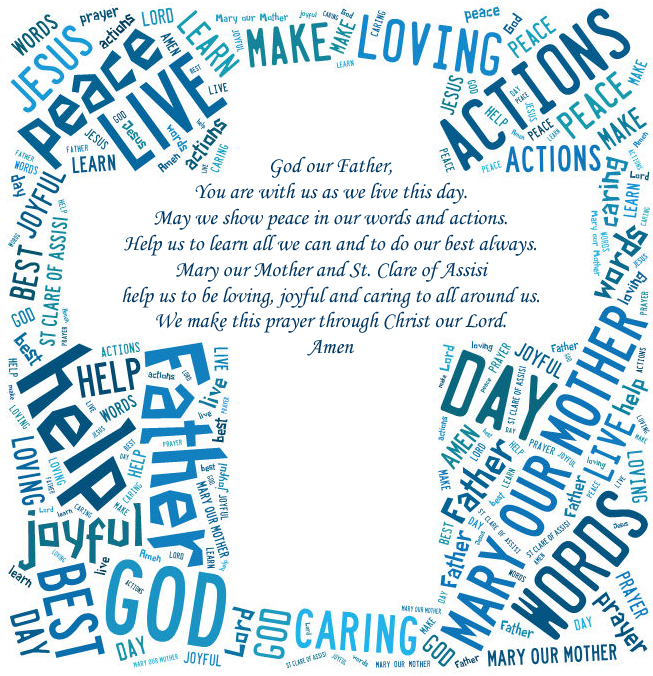 The charism of St Clare permeates all aspects of life at our school, including the values of faith, respect, care, understanding and hope. We achieve our mission by ensuring each student is welcome, safe, nurtured and encouraged to do their personal best and is recognised as a valuable member of the school community. We expect that the adult members of our community also strive to support and actually uphold the Catholic values of the school and parish. Panel members of our recent external school registration process noted: "The explicit Catholic identity the school fosters through regular meaningful prayer, liturgies, staff faith formation experiences, and the religious symbols displayed throughout the school." 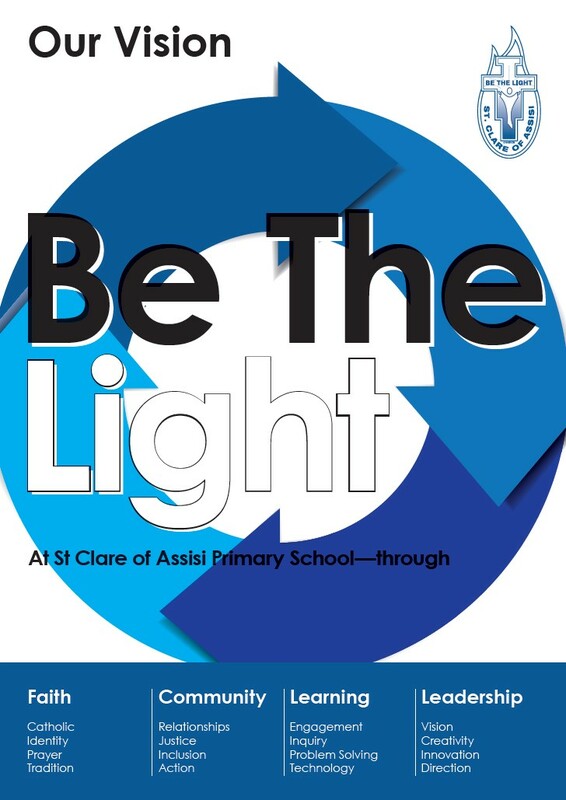 St Clare of Assisi school works closely in partnership with local Catholic schools and the Corpus Christi Parish. This extends to sharing the preparation and celebration of sacramental programs, and developing a wide range of experiences for staff spirituality, meditation, prayer and masses. Be the Light. Be the Light. As we grow and play in love and peace. Jesus is our light so we can be the light for Him. And teaches us how to love. Guides us through good and hard times. Jesus is the Light, the truth and the way. With joy she celebrated His love. Jesus was her light, her truth and her way. And build a school we’re proud of. People filled with laughter, learning and happiness. This song was written by Bernie Dietz in 1995. The song was launched on St Clare's Feast Day that year.